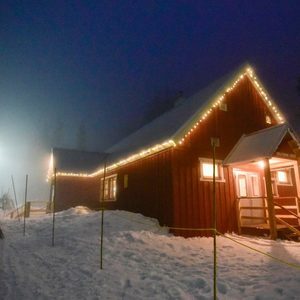 PLEASE NOTE – Entry to Hollyburn Lodge on music nights is strictly reserved for patrons with valid Cross Country Trail tickets, Cypress Mountain Season Passholders accessing by Nordic Skiing, and participants on the Cypress Mountain Music Night Snowshoe Tours! A cover charge is in effect at the Hollyburn Lodge on Music Nights:Ages 13 and up – $5Ages 12 and under – $3For more details go tohttp://www.cypressmountain.com/snowshoetours/#musicnightor call 604-926-5612.http://www.cypressmountain.com/events/Saturday, March 4, 2017, The Circus In Flames will be snowmobiled into Hollyburn Lodge for this special event on Cypress Mountain. The band will perform two sets of their "original garage string band music of the Canadian south" between 7 and 9 PM.